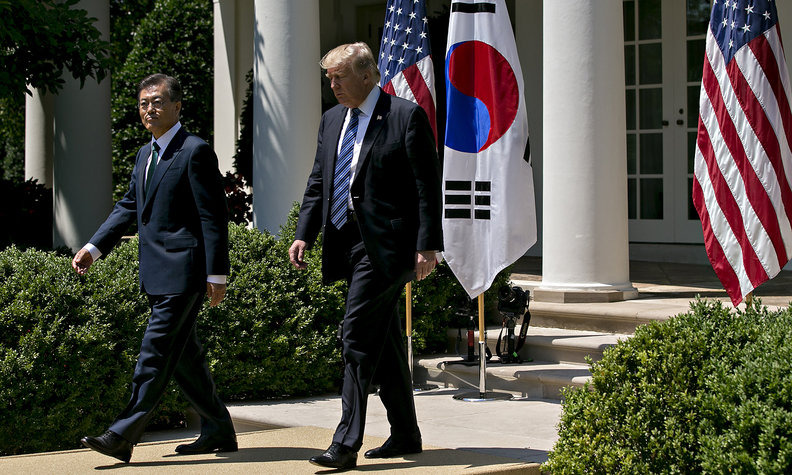 South Korean President Moon Jae-in, left, and President Donald Trump met earlier this summer at the White House. WASHINGTON -- South Korea rejected a U.S. proposal to revise a five-year-old trade deal as the Trump administration pushed for major changes it says will cut its trade gap with the Asian nation. “The U.S. asked for resolution of its trade imbalance, full implementation of the existing FTA, and modification and amendment of the current deal," South Korean Trade Minister Kim Hyun-chong told reporters in Seoul after speaking Tuesday with U.S. Trade Representative Robert Lighthizer via video-conference. The officials spoke amid joint meetings in the South Korean capital after Lighthizer last month gave notice that the U.S. wants to amend the deal. “We told the U.S. that it’s necessary to figure out the reasons for the trade imbalance through a joint study to research, analyze and assess the effect of the FTA,” Kim said. “From my point of view, there’s no agreement regarding negotiations” to revise the deal. Too few American workers have benefited from the accord, and negotiations are an opportunity to address issues such as long-standing requests by the U.S. that South Korea tackle rules that exclude American firms, he said in an emailed statement. No date was set for a future meeting on the issue, Kim said. However, USTR said discussions will continue in coming weeks. The agreement could be terminated if either nation said it wanted to do so. That process would take 180 days. 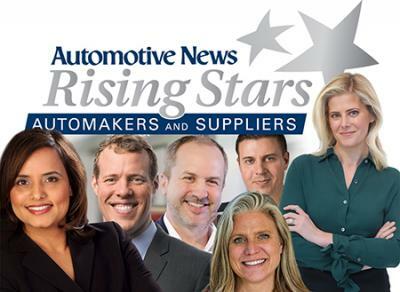 In June, Trump told South Korean President Moon Jae-in that U.S. automakers should have a “fair shake” for better car sales. Kim said last year that the deal was a "slam dunk-shot" for the U.S.
South Korea describes the existing agreement, called Korus, as a mutually beneficial deal, basing its argument on a surge in bilateral trade volume. But the U.S. sees it as one of the main reasons for the trade imbalance. Trump’s push to revise the deal is part of his broader drive to reduce his nation’s trade deficits with various nations, such as his pursuit of a full renegotiation of the North American Free Trade Agreement. Countries such as Japan that have large trade surpluses with the U.S. are watching with interest. The trade issue has emerged just as the U.S. and South Korea need each other’s support to fight together against North Korea’s nuclear threat. Korus also helps the U.S. on a strategic level as China’s economic and political influence grows in the region. South Korea is the U.S.’s seventh-largest trading partner, while the U.S. is South Korea’s second-biggest partner, after China. U.S. figures indicate its goods deficit with South Korea was $27.7 billion last year, or about $4.4 billion more than the number Korea came up with.